This subject guide profiles legal information resources that are available via the Alma Jordan Library (AJL), Campus Libraries, The University of the West Indies (UWI), St. Augustine Campus (STA). This subject guide profiles some of the primary sources of legal information (e.g. cases and legislation) and secondary sources of legal information (e.g. reference works, books and journals), in print or electronic format, that are available via The Alma Jordan Library (AJL), the University of the West Indies (UWI), St. Augustine Campus (STA) or that are freely-accessible. Please note that the contents and resources (images, links etc.) included in this subject guide have been referred to strictly for academic/educational reference/research use (individual/non-commercial) and do not constitute legal advice. Should you have questions about any of the highlighted resources, kindly contact us. the Training & Tutorials page of this Guide. Most of the South Campus Library's print titles (books, journals) have been integrated into the AJL's physical collection. However, this process is ongoing. As such, if you do come across a South Campus Library title in UWIlinC/online catalogue (UWI STA), with an Available/On Shelf status, please do proceed to the corresponding area of the AJL (i.e. General, Course Reserves). 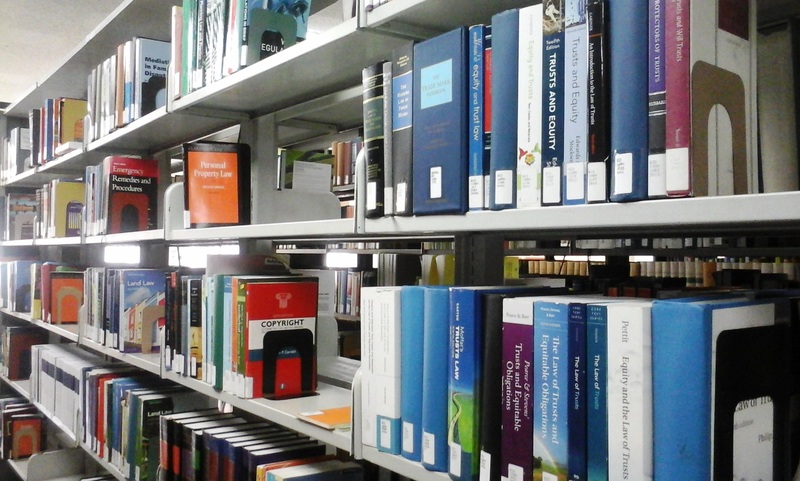 The South Campus Library's serials (print), including encyclopaedias, journals and law reports are not available for loan - rather they are available for in Library use only. Should you be in need of further assistance, do contact us.